New electronic xBikes from the noted computer manufacturer cost pennies to run, can be used for short trips, shopping and reasonable commuter travel, saving thousands of dollars over rising fuel costs and even reducing wear and tear on the operator's other primary 4 wheel motor vehicle. CompAmerica has announced that it, too, is fed up with the rising cost of Gasoline, and has decided to do something about it. So, it has introduced a new product line called " the xBike™ ". 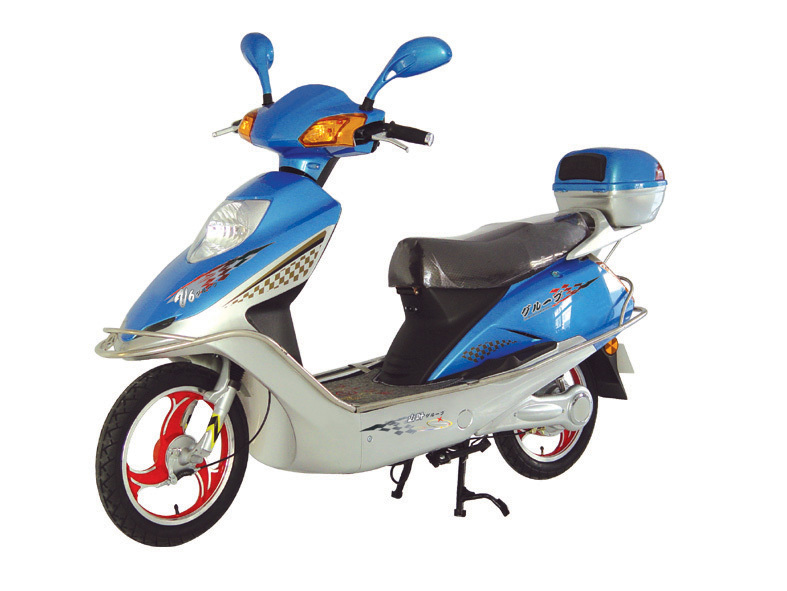 With an MSRP as low as $599, an xBike™ costs only pennies to tank up on electricity. It can charge while its owner is at work, shopping in a mall or at home overnight. With an average cruising range of 25-50 miles per charge, a top speed of at least 20 mph (and as high as 48 mph), an xBike is the perfect alternative to firing up the family sedan and taking a quick trip to the local convenience store. CompAmerica indicated that in a single year an xBike™ can save as much as three times its own purchase price in fuel costs. When used properly, xBiking can dramatically reduce mileage, wear and tear on the owner's primary motor vehicle, resulting in higher resale value. xBiking can absorb much of the "around town" and short hop travel, the kind of trips which in the average family automobile or SUV, anyone can tell you, really burn up a lot of gasoline. The xBike™ comes in two formats: "eMoPed" and "eMoScooter". Each is equipped with either friction or Disc brakes, mirrors, lights/reflectors and a carry compartment. An optional DVD player, Radio, even an iPod, are available in color coordinated form for those wishing a more personalized xBike™. CompAmerica also said it is considering placing xBattery™ vending machines with charged batteries "that can be exchanged" with an xBike's batteries in a few moments for about $.25, around the major metropolitan areas "to save the owner the downtime needed to recharge. We simply exchange the discharged battery with a newly charged one, and recharge the returned one for someone else. The driver goes on for another 20-50 miles. That is certainly worth $.25, the price of a soda pop and a single gallon of gas back in 1967," said a spokesperson. A leader in personal computing systems, this is CompAmerica's first venture in personal transportation systems. The company can be reached at 908-931-1200, its main website is found at http://www.compamerica.com. xBike is a service mark of CompAmerica. The Trailblazer, an xBikeÂTop speed of 35 Kilometers/hour, and a maximum continuous mileage of about 80 Kilometers.